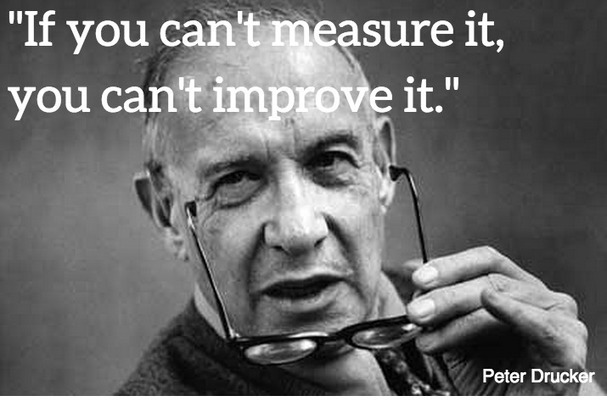 Having data is is one thing, but being able to analyze it is a completely different ballgame. Data needs to be visual in order to have an impact and guide future actions, and that is why we have created a beautiful new interactive Analytics center within Scoop.it. We’ve taken into consideration some of the most important data points that guide content marketing strategies, including whether or not content resonates with an audience, times of day the audience is online, and work division between team members, and based our redesign off of them. The bottom line is that today, we’re excited to announce a complete revamp of our analytics dashboard bringing not only better looking, easier to use analytics but also new metrics and KPI’s to better understand the impact of your content curation. Good looking data is easier to understand. 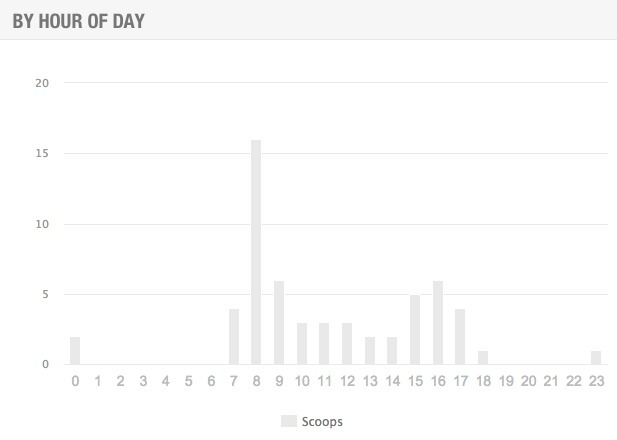 The new Scoop.it analytics have been completely redesigned with gorgeous interactive charts. 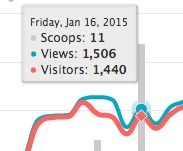 The new Scoop.it analytics are not just beautiful; they’re also smart. 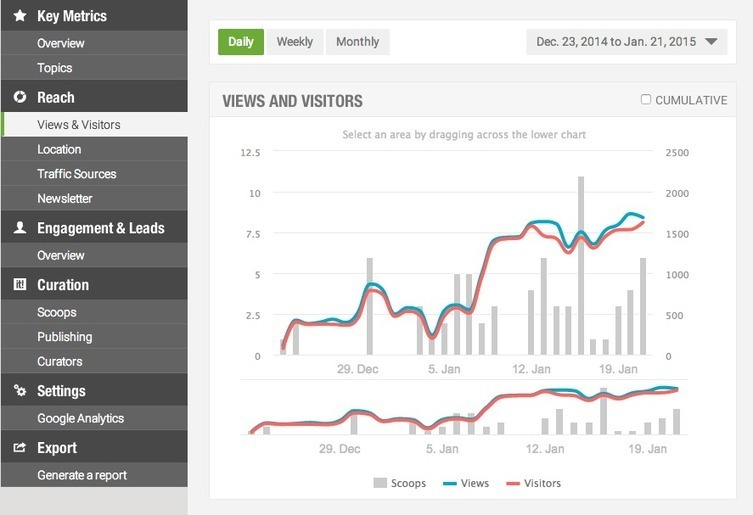 Newsletter analytics: track the opens and clicks of your curated content newsletter directly from Scoop.it. Publishing behavior: analyze which types of content sources you’ve favored so far and what time of the day you post more often. 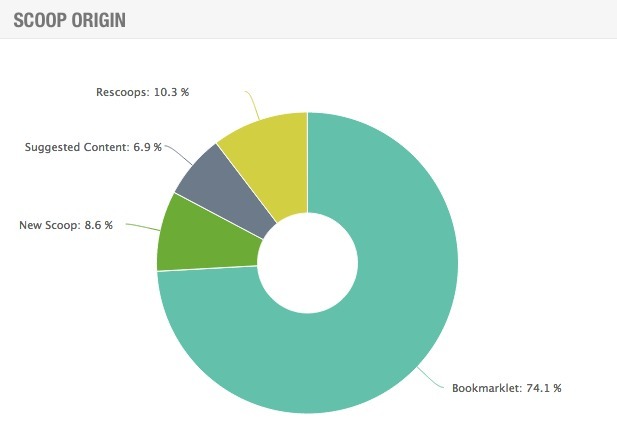 Complete downloadable reports: need to export your analytics to Excel or your marketing dashboard? 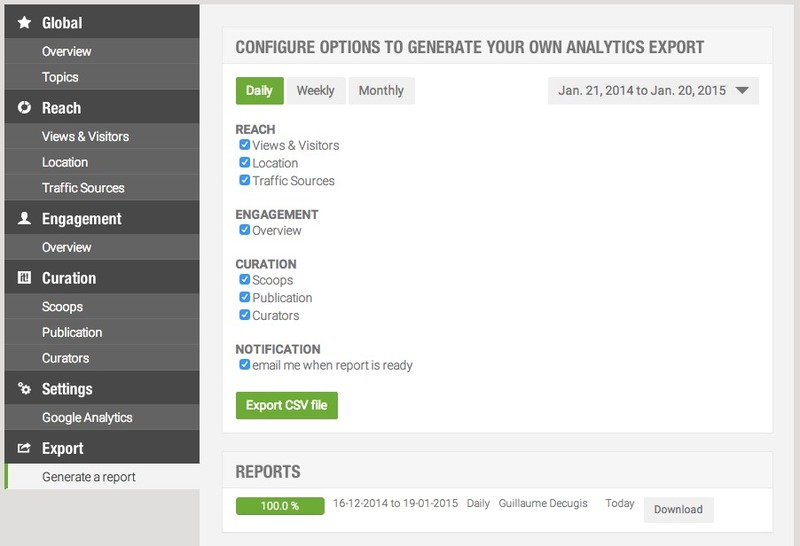 You can generate a report in just one click. 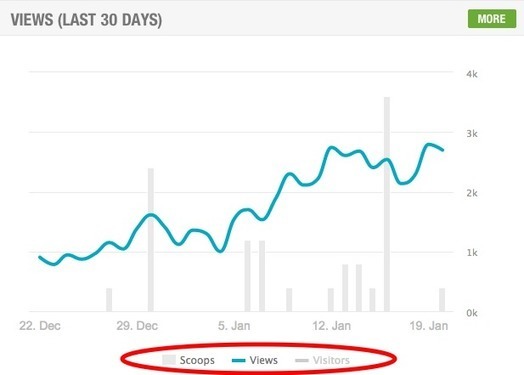 In the next few days, we’ll talk more about how you can use the information from the new Scoop.it Analytics dashboard to evaluate your content marketing strategy and optimize it for success. What would you like to hear more about? Let us know what data points you consider to be the most important and we’ll include them in our next post. 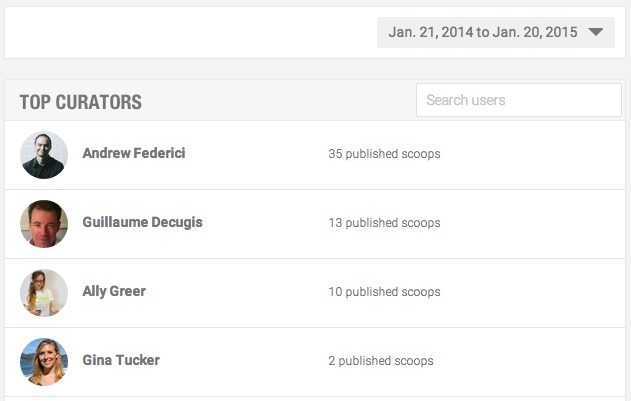 Scoop.it Content Director to help you become a smarter marketer! 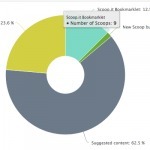 1 Comment on "Measuring content curation: Introducing new Scoop.it Analytics"
This looks great and they would be REALLY useful in the educational licenses- especially how various curators have performed. Hope you will consider adding this! Where to start for good SEO: great content or link building?